The essence of high-performance wakeboarding is captured in this game -- strap in and hang on for your life! 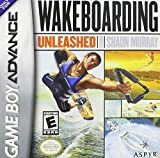 Breathtaking water graphics and unique game play, including interaction with the rope and an innovative cooperative mode, take you to the water for a wild ride; featuring Shaun Murray. 6 months premium membership of playchess.com. With no cards to lose playing on your PC and no pieces to lose playing these board games, everyone will be entertained for hours. This exciting collection allows you to save games in progress, play against a wide variety of computer opponents each with unique characteristics, and have a great time. Tons of games and tons of fun! Chess to Bring Out the Best from Beginner to Grandmaster! Majestic Chess brings you the classic chess experience plus the exclusive Chess Adventure - an entirely new approach to enjoying your favorite strategy game! Majestic Chess has a powerful A.I. opponent that can be adjusted to any strength or style of play, stunning graphics and dazzling animations, along with the all-new Chess Adventure. Immerse yourself in a world of endless chess adventures. Challenge yourself for hours with multiple play modes. Compete against a variety of opponents to improve your game. Choose your competition, playing style, and favorite chess set - and start the clock! Or teach yourself to play with the unique and exciting Chess Adventure. Play against any of 24 computer opponents to suite any skill level or style from beginning to Grandmaster. Improve your chess skills with the help of innovative in-game teaching advice. Earn your army of chess pieces in story-driven chess challenges. As you succeed, the fog of war will lift to reveal more world to explore! Pick your play mode from player vs computer, computer vs computer learning mode, or the unique Chess Adventure. Play the most powerful and entertaining personal computer chess game from the leading experts in computer chess. 2D and 3D sets with true perspectives and stunning graphics. Play against competitors with adjustable settings to fit any planning style.